Manufactured from the best durable polyurethane-based elastomer which increase the service life of the parts, serving your car two-tree times longer than rubber analogues. Siberian Bushing spareparts were tested in the most severe road and weather conditions in the world - in Siberia. 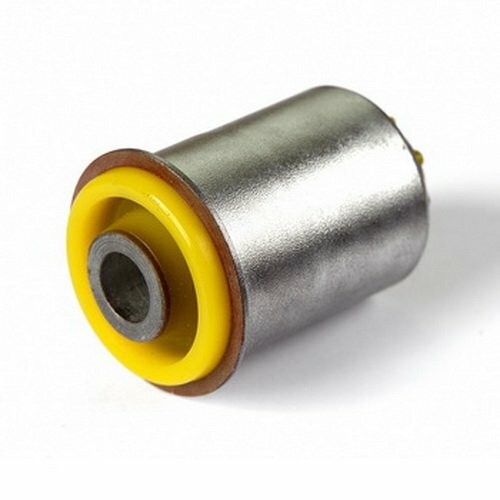 Siberian Bushing uses only high quality polyurethane compounds. Unlike the cheaper and obsolete rubber replacement parts, our parts withstand widest range of operating temperatures, stay flexible and durable even under hard loads and in extreme driving conditions. All mount sizes (inner sleeve I.D. etc.) match the original ones. If not specified, the default polyurethane hardness is 65 (Shore A) that is equivalent to original rubber material. This provides safe and comfort driving, meantime increasing the responsiveness of your car. Ozone, oil and solvents resistant. Wear-out, tear-off and cuts resistant. View More In Strut Bushings. If you have any questions about this product by Siberian Bushing, contact us by completing and submitting the form below. If you are looking for a specif part number, please include it with your message.